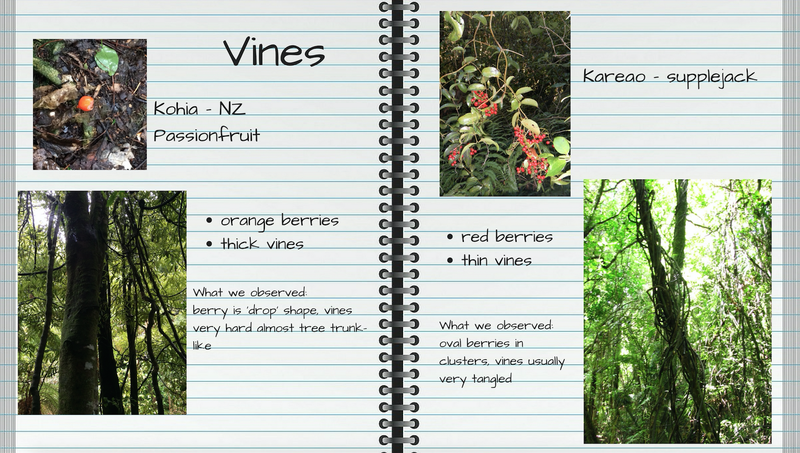 Creating a Nature Journal about a walk or trip is a great way to share your memories about the place you visited. 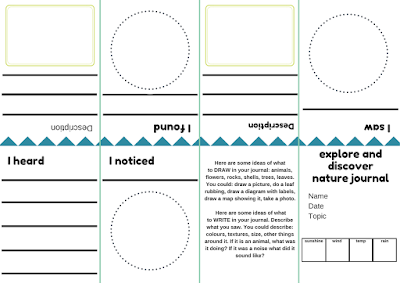 You can use a bought notebook or make your own booklet (see how below). 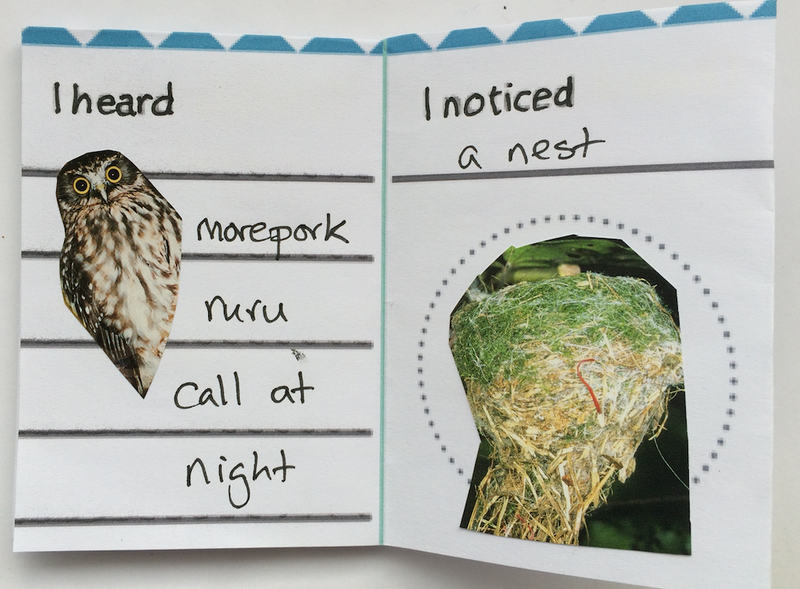 Take your Nature Journal with you to make notes or draw sketches and then finish it when you get home. Use drawings or photos to illustrate what you saw. Always write down the date and place you saw things, it’s a good idea to note what the weather was like too. Write down your name and any other observers on your walk. When you write about something interesting that you see, think of all the words you could use to describe it. 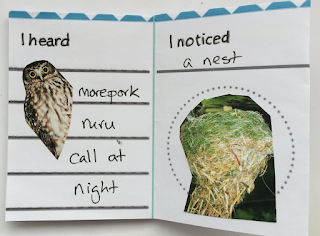 You could describe the colour, texture, size, where it was growing, what it was doing, what noise it was making. You might want to compare two different animals or plants. Often spending time drawing a picture of the animal or plant, helps us see more of the detail. But thinking carefully about a taking a good photograph can do this too, for example, where to focus, how to get enough light to show details. Other ways you can illustrate what you saw include: doing a leaf rubbing, drawing a diagram with labels, drawing a map, finding a picture of the animal or plant from a magazine. Observing Tūī in the garden, photos illustrate this journal, the chicks didn’t stay still long enough for me to draw them! 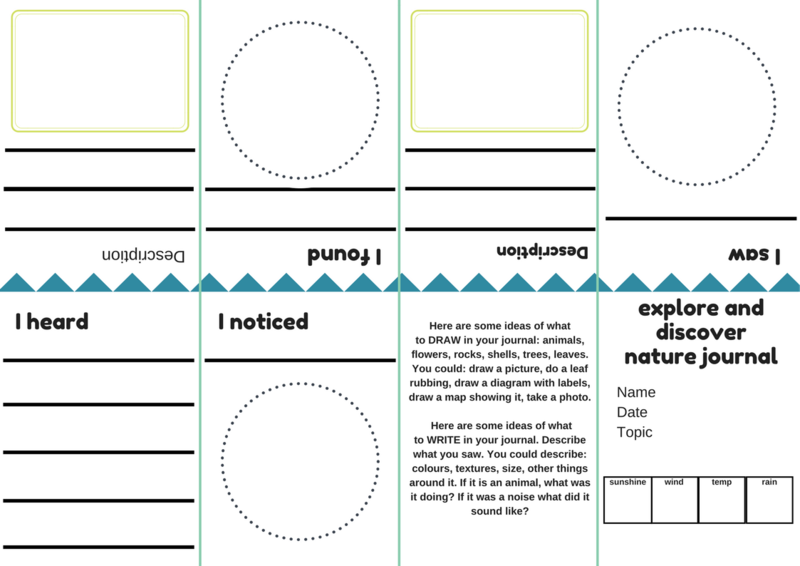 Download and print out the template. 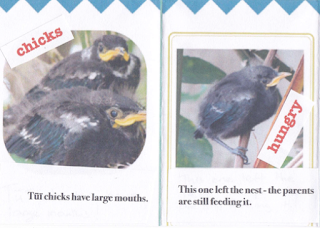 It folds up into a zine-style booklet. Here’s how to fold an A4 page into a booklet. 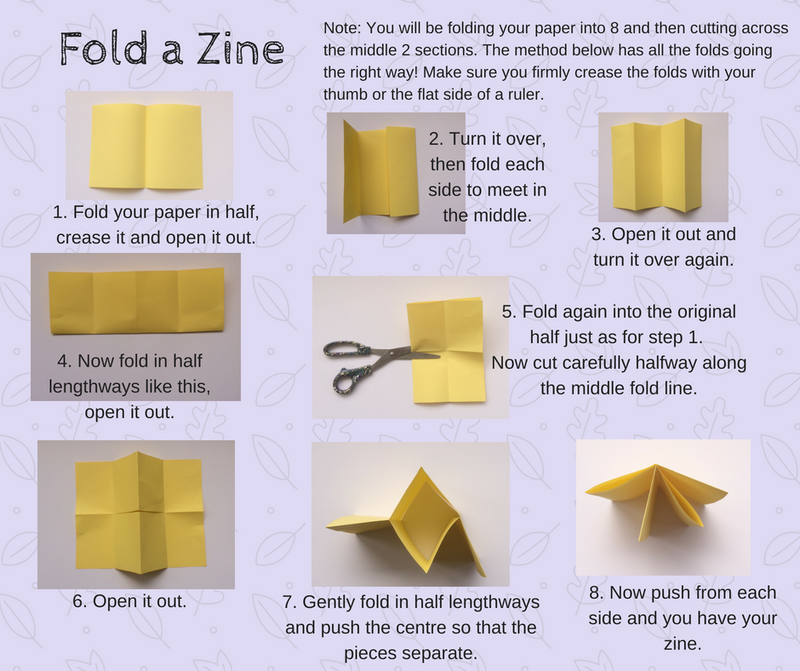 If you are using the downloadable template you will see the fold lines already marked, so start folding along these. There is only one cut to make, see step 5 below, 6, 7&8 show you how to fold the template after it’s been cut. Botanical Gardens (such as Auckland Botanic Gardens) and museums sometimes run nature journal activities for children (and adults), check out events at your local botanical garden. ← New Book Out Now – Whose Home is This?